Our Rotary Club presents a scholarship at the end of the school year to a senior from Pilot Point High School. Each month, beginning in September, the school selects two seniors, a boy and girl, as our seniors of the month. All seniors selected are eligible to receive the annual scholarship. 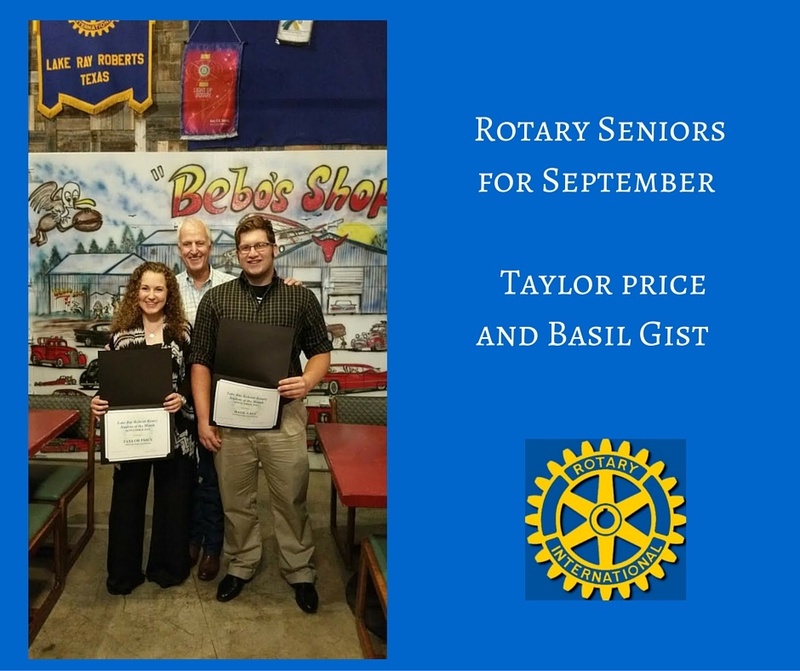 This month's Rotary Seniors are Taylor Price and Basil Gist. Congratulations to these two fantastic students of Pilot Point ISD!